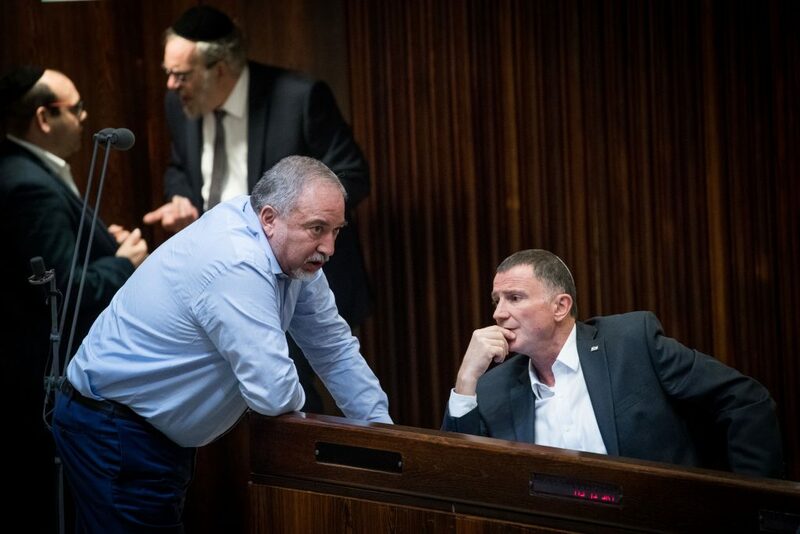 Former Defense Minister Avigdor Liberman wasn’t looking so glum on Wednesday, as he had the day before when photographed in his new seat in the Knesset next to Joint List chairman Ayman Odeh. Approval of a seating change at Liberman’s request improved his mood. He was given permission to switch places with his Yisrael Beytenu colleague MK Sofa Landver, who was on the other side of Liberman Tuesday. “I think that today I have a better neighbor. It’s something new for me to come to the Knesset to vote, to take part in discussions, but it’s also a nice experience, and it’s good not to see Ayman Odeh on my left,” Liberman said. Neither Odeh nor Landver have commented so far. Another MK that Liberman may prefer not to seat next to these days is Culture Minister Miri Regev (Likud), and the feeling might be mutual. Liberman criticized Regev for implicitly criticizing former IDF Chief of Staff Benny Gantz earlier in the day. “There’s a very strange phenomenon here. Miri Regev served under Benny Gantz for years and did not say a word.” Brigadier General Regev served as IDF Spokesperson in 2005-6 before entering politics. “I think we have to talk about policy and ideas, but not to attack personally. I do not agree with this phenomenon; it’s strange to me,” Liberman said. Four-year-old Daniel Tregerman was killed by a mortar shell fired from Gaza. Gantz has said he intends to run for election, though it remains unclear whether he will run in a new party slate or join one of the existing parties. Polls show that an electoral list with his name at the top could win 12 Knesset seats, taking support away from Likud, Yesh Atid and Zionist Camp.